What is GDPR? – The GDPR (General Data Protection Regulation) is a new, European-wide law that replaces the Data Protection Act 1998 in the UK. It comes into force on 25th May 2018 and is designed to give people increased protection and control over their data, and place greater obligations on how all organisations, large and small, handle personal data. 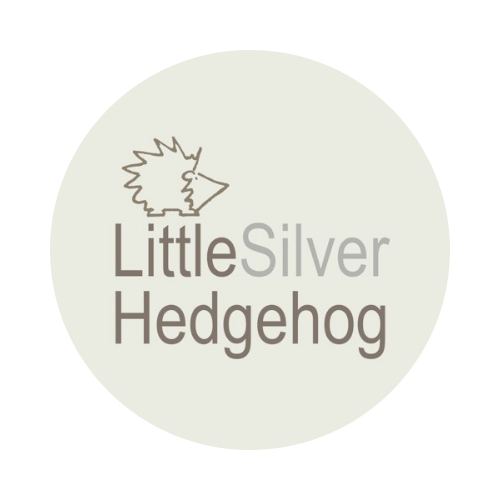 I, Emma Kate Farley, am the data-controller of your personal information as it relates to my jewellery business and hedgehog rescue Little Silver Hedgehog. What data do I collect, and how is it provided? – When you place an order with me via Etsy or direct via Paypal, I receive your name, delivery address and email address via Etsy, Paypal or direct from you. I do not receive your personal payment details from Etsy or Paypal. If you have contacted me about a poorly hedgehog, I will also have any data that you have provided, such as your email address and telephone number. Why do I collect this data? – I use these details to process and deliver your order, deal with any queries you have related to that order, and to contact you about your order. If you have contacted me about a poorly hedgehog, I will also use that information to contact you about the hedgehog and to arrange details for collection or release. I also maintain a list of release sites. Do I share this data? – I will never use or pass on your information to third parties for marketing purposes or any other purpose. I will not add you to any mailing list without your explicit consent. You can unsubscribe from any mailing list I run at any time via the unsubscribe link. How long do I keep your data? – will only retain your details for as long as necessary in order to process the jewellery order. I retain personal data related to orders or customer queries for six years, as required by law for tax purposes. I will retain your details relating to poorly hedgehogs for as long as necessary to ensure the return of the hedgehog to the wild. I will securely store any data collected during that period. Records relating to sick hedgehogs are generally kept for up to 2 years. You have the right to know what personal data I hold about you, and to ask for that data to be changed or deleted. You also have the right to complain to the ICO if you believe there is a problem with the way I handle your data. If you need to contact me, my email is emmakatefarley@hotmail.com or you can use my Contact Form.